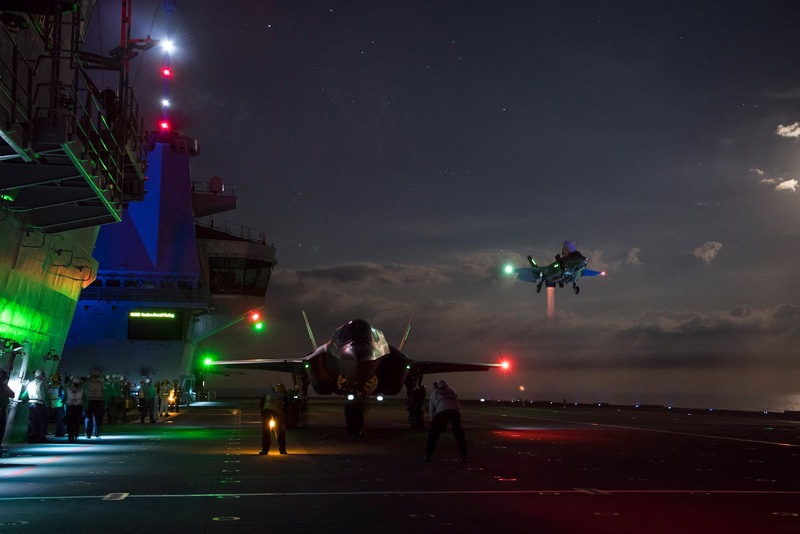 I've been watching the chest thumping that the Brits are involved in with the F-35 on the QE. Is this about capability or a national status symbol? Let's make believe we live in an alternate universe. In that universe the Brits take a different path. You're expecting me to focus on the F-35. Wrong. Don't get it twisted though. The F-35 costs far too much, is much too late and has been poorly managed. The messaging on it has been beyond suspect and borders on a mix of being clumsy, pure propaganda, outright lies and serious deception. Having said that they labored long and hard to build an airplane that is superior to the Harrier and MAYBE equal to the land based planes its replacing. So for this little missive the F-35 remains. What if the Brits had gone with an LHD instead. What if they went with 4 LHDs instead of 2 Queen Elizabeth class carriers? Would that be a more effective force? If they follow the US Navy example I think it would. 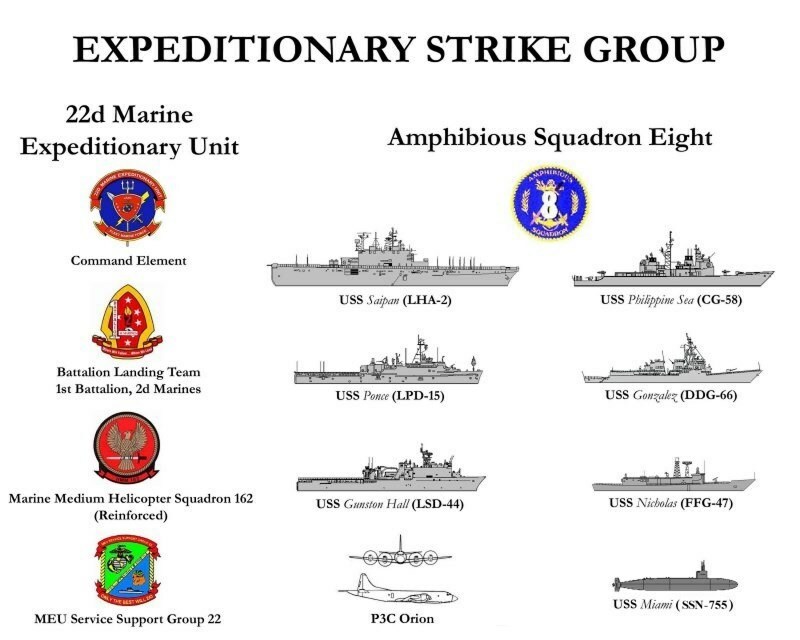 Above you see an Expeditionary Strike Group. We're focusing on the ships supporting, not the composition of the Marine Expeditionary Unit. We're assuming that the Royal Marines in this alternate universe will NOT heavy up. In short they will be able to operate from their LHD along with the attached Bay Class Ship. The supporting ships would be one Type 45, one Type 26 and one Type 31. I imagine they MIGHT be able to float a Royal Marine Commando Group and perhaps elements of the 16th Air Assault Brigade. But check out a Carrier Strike Group. You're looking at almost double the supporting ships. Was the decision to build the QE Class based on the desire to possess a national status symbol above and beyond the desire to field a capable Navy that could still punch above its weight? Think about that but consider this. Manning requirements. The LHDs would arguably require the same number of sailors and perhaps fewer. If Australia is an example (and they have a much smaller Navy) then the Brits would easily be able to accommodate 4 LHD type ships versus 2 QEs. World Wide commitments. The US Navy/Marines brags about meeting world wide commitments. The Brits do the same. 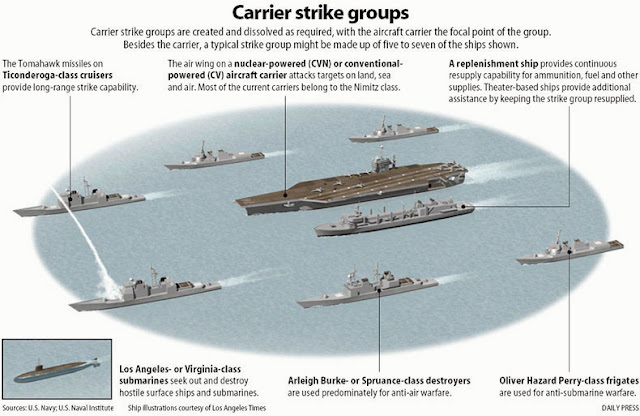 Are they better served by have 4 LHDs with 2 in port and 2 on deployment or with 2 aircraft carriers with 1 in port and 1 on deployment? Surge capability. In a break glass, its time to go to war situation do you want and desire the 4 LHDs that provide mission flexibility, conservation of forces, dispersion of forces and the ability to sustain loss or do you want two full carriers carrying the bulk of your assets? I think the case can be made that in the case of the Royal Navy this is more about a national status symbol than it is about a real combat capability.